Are you getting ready to sell your Grand Junction home, or are you selling a home in another area so you can move to Grand Junction? Regardless, of why or where you are selling, you need to make sure that you are pricing your property right if you actually want to sell it. The pricing is where a number of homeowners get into trouble. They have an affinity for their property, and they probably have some great memories associated with it. However, you can never let your personal love for the home get in the way of the actual value of the property! The only way to sell your home is with competitive pricing. Let’s look what happens when you ask a price that’s too high. First, it’s going to sit on the market for months… or longer. You won’t get as many offers. Once people see that it’s been on the market for that long, they will actually start to bring in even lower offers to the table, believing that you are desperate to sell. During this time, you are probably wasting money on advertising as well. This is the last thing that you need when you are trying to move and get into a new place. You don’t want this to be your story, so make sure you are pricing your home competitively. Look at other comparable homes in your area and see how much they are charging and how quickly they are selling. 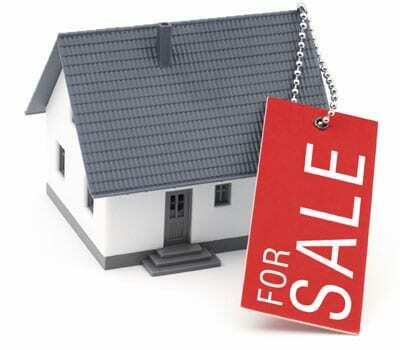 If you have trouble coming up with the right price for your home, you should consult a real estate professional. He or she can give you a much better idea of the value of your home, not to mention some other tips that can help it to sell even faster.